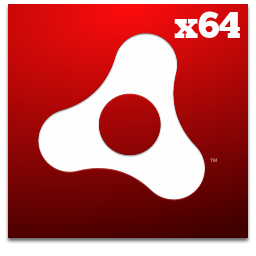 Adobe Air 64bit .deb for Ubuntu - OMG! Ubuntu! Despite hammering away on a desktop computer hiding 8 GB of RAM within it’s slick casing I’m running 32bit Ubuntu. The reason why is longwinded, but it’s certainly not to do with any flaw within 64bit Ubuntu. In fact prior to this reinstall of Maverick I had been running Ubuntu 64bit solidly since Ubuntu 8.04! Prakash Advani has created a 64 bit .deb of Adobe Air for users to install. With Adobe only providing a 32bit binary for Linux users we’ve had to cover workarounds for installing the neat multi-platform runtime in Ubuntu 64bit more than once. Thankfully, particularly if you’re as lazy as me, this pre-packaged .deb file creates a fuss-free alternative to the manual repetitiveness these ‘hacks’ require.